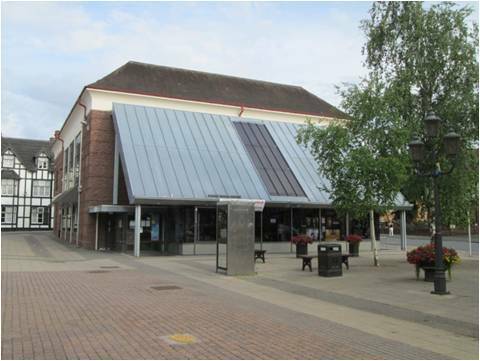 Droitwich Library is very excited to be involved in the Great Blackberry Pick project as a partner to Hindlip, Ombersley, Tibberton and Wychbold First Schools and with the support of the Worcestershire Wildlife Trust and the HLF. The Library has already has a collection of local history books, photographs, maps and artefacts available for schools and the general public to access for free, and we will also be running a number of WWI events from “dazzle” ship workshops and our annual Local History Day in October to Coffee and Carol mornings during December in conjunction with our WWI Vesta Tilley exhibition. The building also has a fascinating history in its own right. Originally Salters Hall built by John Corbett, the “salt king”, one of the building’s uses was as a drill hall for local soldiers until 1912. It later became the Salters Cinema before becoming the town’s library in 1983. Visit us in Droitwich’s Victoria Square to discover more.